Good morning lovelies! ! Last night I posted on instagram our FHE treat. It was a recipe I found on pinterest yesterday morning. 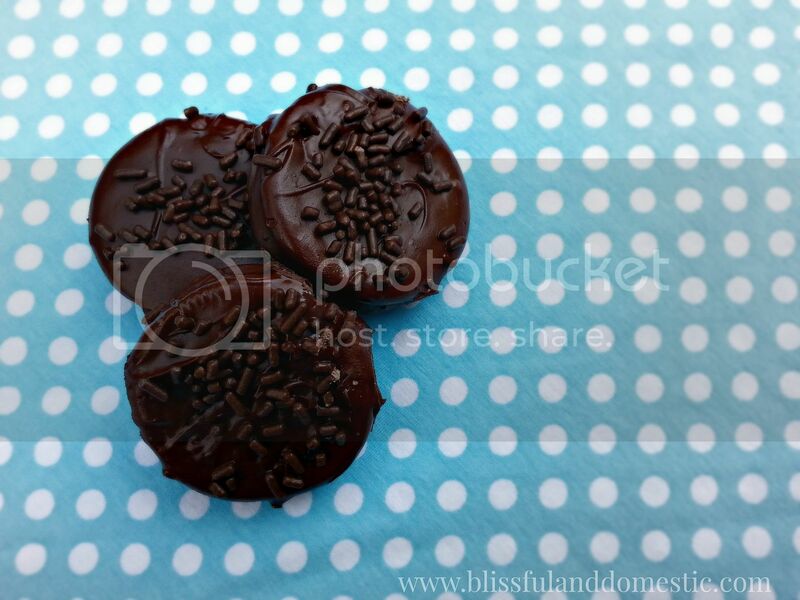 Once I saw how simple it was to make these Girl Scout treats, I knew I needed to make some myself...and of course share it with all you fabulous peeps as well. These cookies take under 15 minutes to make and require no baking. Can I get a woot woot for no baking in this heat we're feeling here in Las Vegas. Ready for the easy peasy recipe? I melt my chips by placing a medium size sauce pan, filled a quarter of the way with water, on the stove. Place a metal bowl inside the pan, so it rests on the outer rim of the pan. The water in the pan will boil, creating steam, which will then heat the bowl and melt the chocolate. 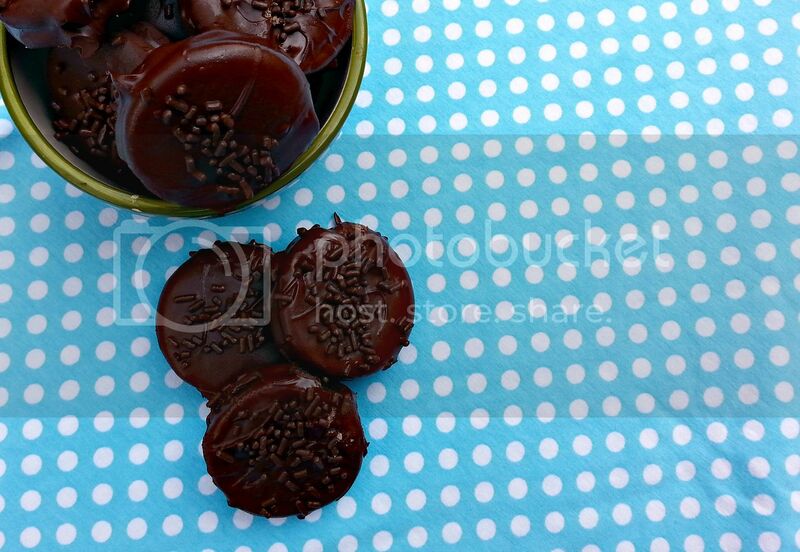 Once your chocolate is melted, add 1 tsp of peppermint extract and stir. Next, drop Oreos into the melted chocolate. Flip cookies over so chocolate covers the cookie on both sides. 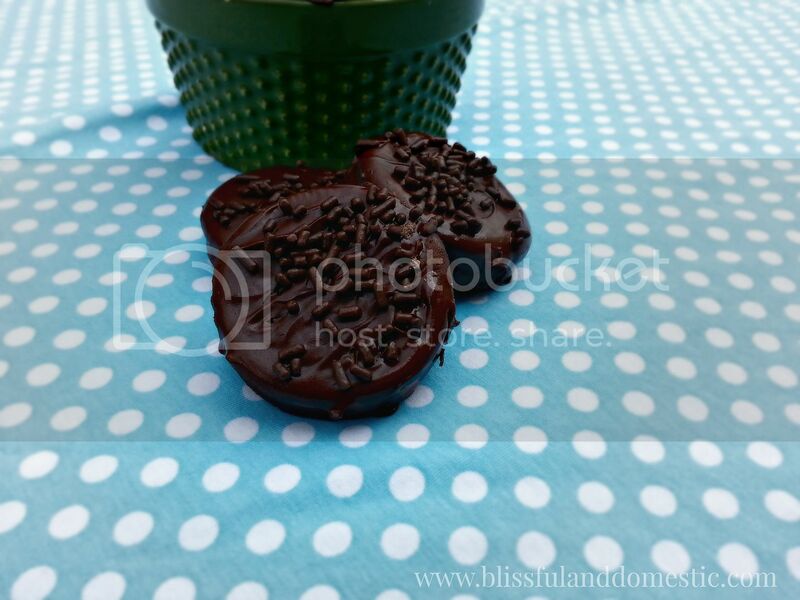 Use a fork to remove the cookies from the chocolate, taping the fork on the edge of the bowl to remove excess chocolate. 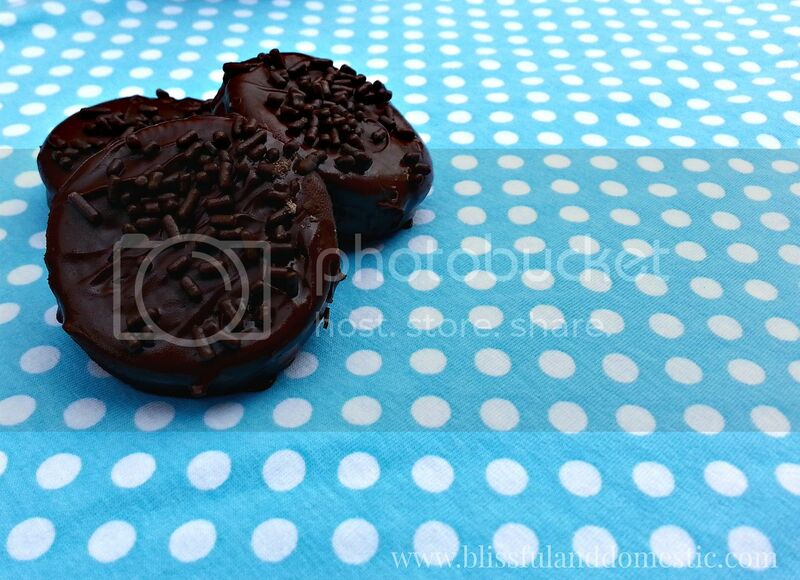 Place covered cookies on a cooling rack and sprinkle tops with chocolate sprinkles. Cool in the fridge for 2 hours before serving. These are quite scrumptious. Put these on your must make list. Scrumdiddlyumptious looking! Oreos are super expensive where I live. But I have a chocolate wafer cookie recipe that tastes a lot like an Oreo. I think this would work together with your recipe. I can't wait to try the results. Thanks for the idea. mmm! Wouldn't this be super good in homemade ice cream? Oh the possibilities! Looks yummy! I know that Oreos also has a mint version ... the creme is mint flavored. But I wonder if that's overkill on the mint if it's covered with the mint chocolate. Cool :) My two favorite in one - mint & Chocolate! 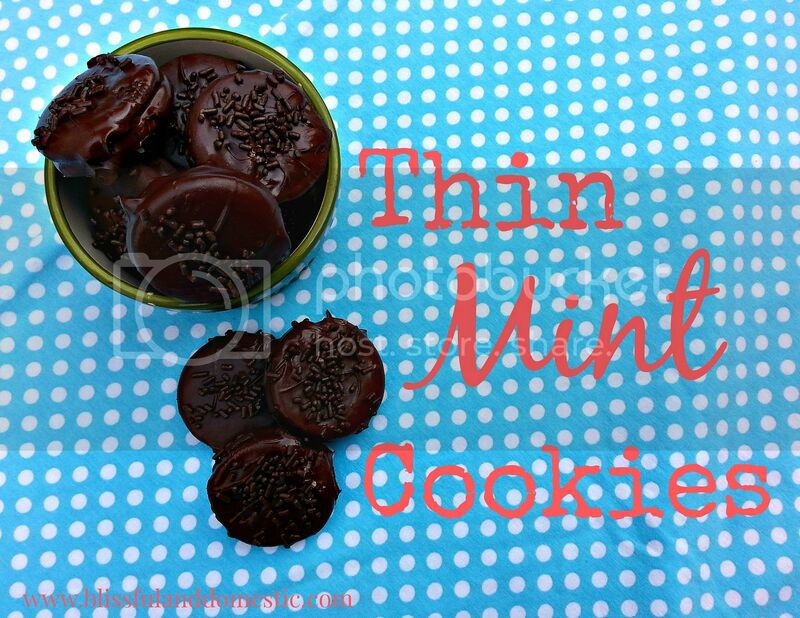 Thin Mints are my weakness! These look fantastic. Thank you for linking at the In and Out of the Kitchen Link Party. Hope to see you again next week.